A country rich in culture and steeped in history, Turkey is one of the most fascinating places in the world. Distinguished Traveller invites you to revel in the beauty and history, with its crystal blue lagoons, awe inspiring mountain ranges and picture postcard lakes and historic sites, all intertwined with the most friendly and hospitable people. What better way is there to see the beauty and history of Turkey than touring at the wheel of a Porsche? 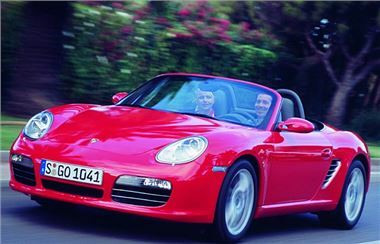 Enjoy an exhilarating 7 day drive from Istanbul to Antalya in Turkey in a 911/997 Carrera, 987 Boxster or Panamera - 1,250 kilometres of superb driving over 7 days. After coaching, you get to drive yourself on the Turkish GP Circuit. See the most important monuments of Hagia Sophia & Topkapi Palace. Find the largest city of the ancient world. Glide on crystal clear waters of the yachting harbour of Gocek, playground of the rich. Sample an array of delicious foods including delicious Turkish Mezes and dishes from Master Chefs. Take home commemorative personal photos of the whole drive. Enjoy personal pre check-in and valet services. End the week on a high at the Post Drive Event. To ensure you get the optimum enjoyment out of this unique drive, Distinguished Traveller has selected the safest, fastest and hassle free routes. Pushing your experience to the max, DT has featured a range of different driving terrains from motorways and dual carriageways to single lane and thrilling roads that twist and turn. DT experts are on hand to ensure everything runs smoothly, so you can just sit back and drive, taking in the superb scenery. A lead car drives about 5 kilometres ahead to make sure that road conditions are safe and checks for speed traps and passes the information to the following cars. The chaser car follows all the fleet (maximum 8) and makes sure everyone reaches the day's destination safely. DT collects your suitcases each morning whilst you are enjoying breakfast and leave to the next destination to complete your check-in and be ready to welcome you. Every evening DT checks over your car, fills the tanks and cleans the cars. The Cars Let us transport your own car to Turkey, or choose from our Fleet of Porsche: Carrera 911/997 4s, 987 Boxster and Panamera 4s (4 seaters). The cars are fully serviced and maintained by Authorised Porsche Services and DT's on-hand mechanics follow the tour. Panamera - €4790 Euro / £4,059 GBP Per person based on double occupancy. VAT inclusive. Please visit www.stressfreetours.com and check the 7 Days Tour Leaflet for details. See photos from the previous tours. Please email drive@stressfreetours.com if you have any questions.